Of course, we think any season is the right season to read, but winter can be a perfect time to read and watch! What better way to keep busy in these cold, dark months than reading with your book club, watching the movie version and then discussing both? 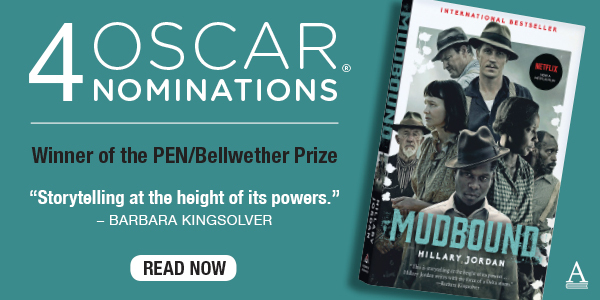 So, here, just in time for Oscar season, are five great book club reads, paired with their recently released award winning/nominated movies. 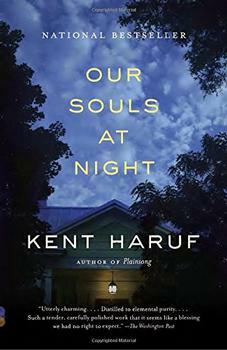 Kent Haruf's swansong was published shortly after his death and was voted a BookBrowse Favorite. It's a bittersweet, inspiring story of a man and a woman who, in advanced age, come together to wrestle with the events of their lives and their hopes for the imminent future. To quote one reviewer, "Like the friendly light shining from Addie's window, Haruf's final novel is a beacon of hope; he is sorely missed." Netflix released their film adaptation last September. It stars Robert Redford and Jane Fonda and is rated 92% by Rotten Tomatoes. The film adaptation was released to the general public in January 2018 after having been shown at many film festivals across the world in 2017. At the time of writing, the film has apparently been nominated for 146 awards and has won 44! It is in the running for four Oscars, including a nomination for James Ivory for Best Adapted Screenplay (Ivory is perhaps best known as the director of a number of movies based on E. M. Forster's novels including A Room With a View). Rotten Tomatoes gives it 96%. Mudbound centers on life in post-world war Mississippi and focuses on the issues of racism and post traumatic stress disorder. Even before it was published, it was already a Bellwether Prize for Fiction winner - awarded to previously unpublished first novels that address issues of social justice. The year it was published, it was voted a BookBrowse Favorite by our subscribers. 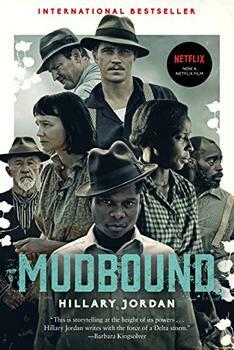 Mudbound scores an extremely impressive 96% on Rotten Tomatoes and is available as a Netflix Original movie. It has been nominated for four Oscars, including two nominations for the multi-talented Mary J Blige, for Best Supporting Actress and Best Original Song. It has also been nominated for two Golden Globes and has already received two awards from the Screen Actors Guilds. 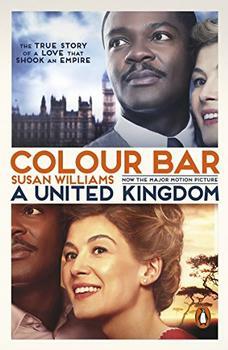 The Colour Bar is both a true love story and a powerful historical insight into a shameful time in British and African history. When Prince Seretse Khama (who would later become the first President of Botswana) and white English-born Ruth Williams met and fell in love in 1940s Britain they were met with overt racism by the people and governments of both Britain and southern Africa; but with great dignity and extraordinary tenancity they, and the Bangwato people, overcame prejudice in their fight for justice--which, ultimately, led to independence for the country of Botswana. Originally published in the UK in 2006, this book does not appear to be available through a US publisher, but it is still possible to order from Amazon as a paperback or ebook. The movie biopic, A United Kingdom, is available to stream on HBO and various online locations. While some elements, such as the time-line, stray a bit from the book, it is true to the essence of the historial events. Starring Rosamund Pike and David Oyelowo, and nominated for a number of different awards, A United Kingdom is well worth your time, and, for fans of Alexander McCall Smith, it offers a chance to learn about the history of the country that his beloved detective Mma Ramotswe calls home. In The Good Soldiers (2009), journalist David Finkel reported from the front lines of Bagdad, shadowing the men of the 2nd Battalion, 16th Infantry Regiment. 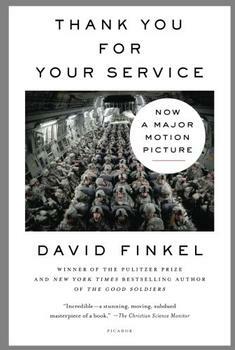 His ironically titled follow-up, Thank You For Your Service, follows many of the same soldiers as they return home and struggle to reintegrate, both into their family lives and into American society at large, with little help from the limited mental health resources available to veterans. 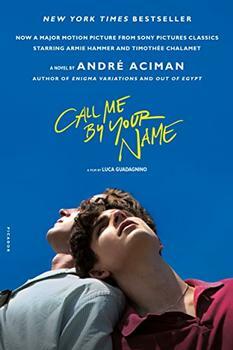 The film adaptation was released in the US in October 2017 and received generally positive reviews from critics and rates 77% on the Tomatometer. It is available on DVD and to stream.